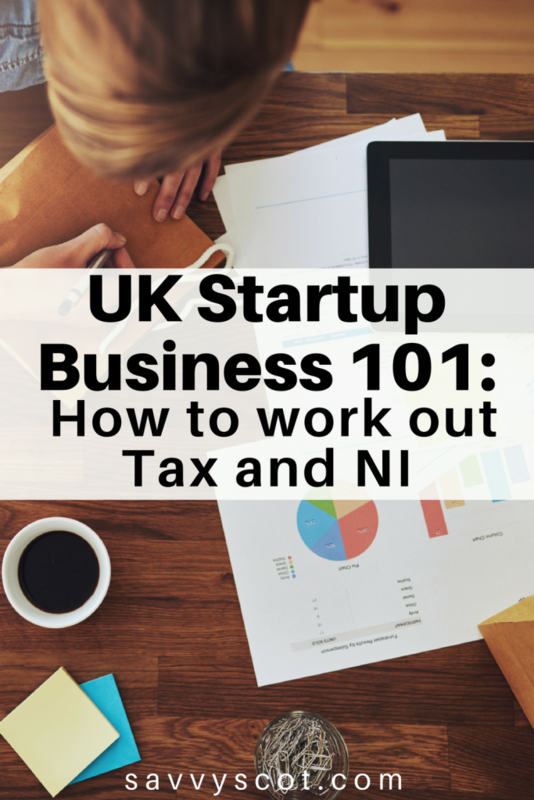 Startup business owners cannot be expected to have a comprehensive knowledge of the rules guiding tax and NI. However, as one, you are subject to a wide array of taxes, including corporation tax and National Insurance. Here’s a brief overview of the main taxes you can expect as a UK startup owner, and useful ideas of how to work them out. National Insurance (NI) is a deduction from earnings, created to fund the NHS, state pension and other state benefits. In reality, it is simply another form of tax. Generally, sole traders pay income tax on business profits, but are also liable to pay National Insurance Contributions (NICs). If you’re self-employed and you fail to incur profit from your business, you can get tax relief. This is done by setting the loss against business profit in subsequent years or other income from the same or a previous year. When working out your payable tax, capital allowances can be claimed on plant and machinery – computers, vehicles, tools and equipment, workplace fixtures and fittings, and certain types of building. Capital allowances vary from a few per cent to 100%, and can be calculated as a fixed percentage of an item’s value. Value Added Tax (VAT) is a transaction levied on the sale of most goods and services. Your business must become VAT registered if your turnover exceeds the threshold (£85,000 in 2017/18). It’s crucial to note that turnover is the amount of money going through your business, not only the profit. Becoming VAT-registered may benefit your business financially even if your turnover doesn’t meet the threshold, as long as your customers are also VAT-registered (so that they don’t have to pay more). All businesses pay input tax or VAT on most purchases while registered businesses charge VAT on their products (output tax). As a VAT registered business, you’re required to pay the difference between the input tax paid and output tax charged, known as HMRC. You can also register for VAT if you expect the value of your taxable items to exceed the annual VAT threshold in the next 30 days. VAT-registered businesses also need to submit VAT returns online and handle any outstanding tax liabilities electronically. Corporation tax is collected on the taxable income or profits for limited companies. To pay corporation tax for your business, you’ll have to calculate your own tax liabilities, and pay the deduced tax to the Inland Revenue without assessment beforehand. Corporation tax payment is usually due 9 months and one day after the “normal due date” of your company (which is the last day of your annual accounting period). The current rate for corporation tax is 20%, but it may reduce to 17% by 2020, according to the 2016 government budget. This short guide will help you important taxes for UK businesses, and with a little help you can become a pro at handling the financial aspects of your business. Taxes are an unavoidable cost you’ll have to comply with like insurance. But where you can shop around and get an insurance deal that suits you, you can also get professional advice from accountants or tax advisors tailored to your business needs.